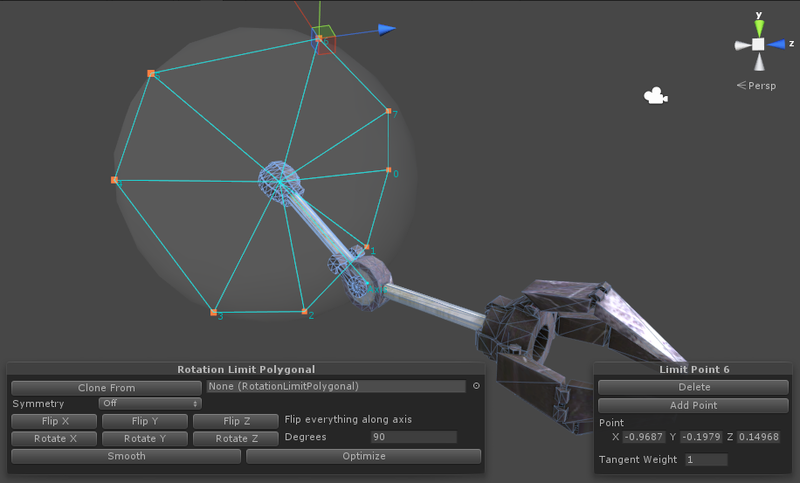 All rotation limits and other Final IK components are Quaternion and Axis-Angle based to ensure consistency, continuity and to minimize singularity issues. Final IK does not contain a single Euler operation. All rotation limits are based on local rotations and use the initial local rotation as reference just like Physics joints. This makes them axis-independent and intuitive to set up. 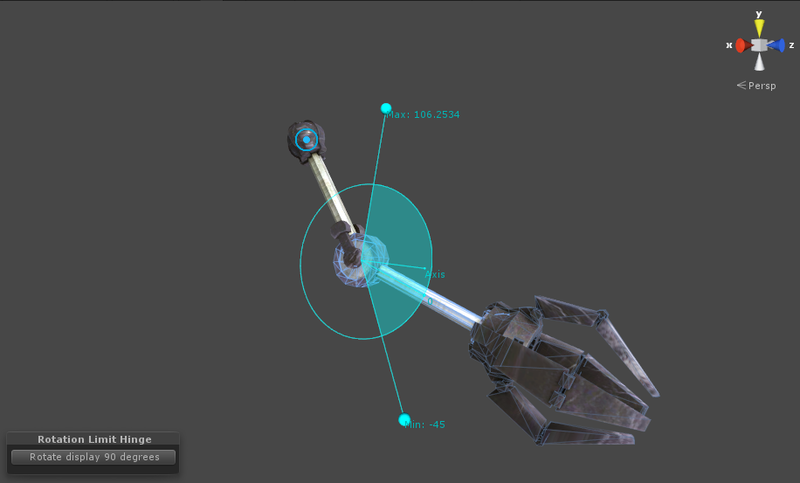 All rotation limits have undoable Scene view editors. 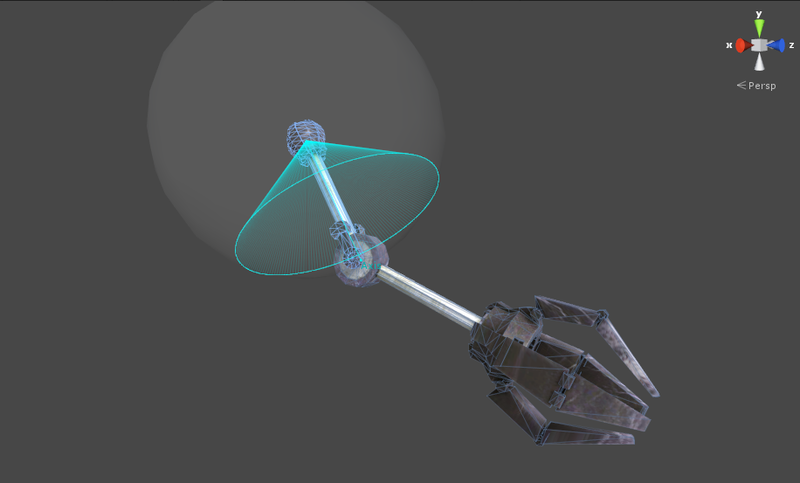 All rotation limits work with IK solvers that support rotation limits. Simple angular swing and twist limit. The hinge rotation limit limits the rotation to a single degree of freedom around an axis. This rotation limit is additive which means the hinge limits can exceed 360 degrees either way. Using a spherical polygon to limit the range of rotation on universal and ball-and-socket joints. A reach cone is specified as a spherical polygon on the surface of a a reach sphere that defines all positions the longitudinal segment axis beyond the joint can take. The twist limit parameter specifies the maximum twist around the main axis. 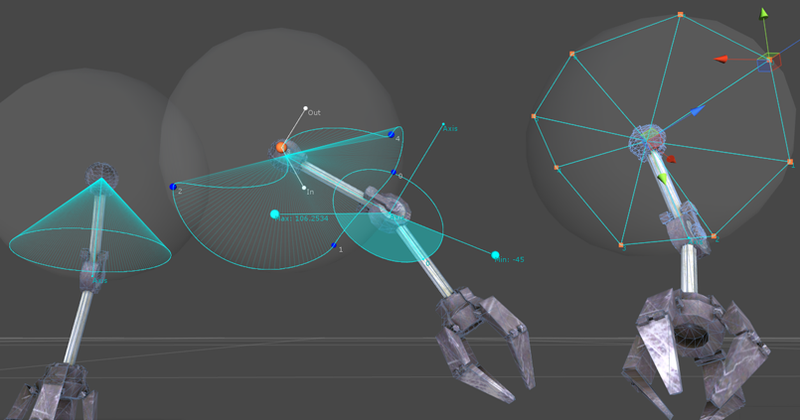 "Fast and Easy Reach-Cone Joint Limits"
The polygonal rotation limit is provided with handy scene view tools for quick editing, cloning and modifying of the reach cone points. Using a spline to limit the range of rotation on universal and ball-and-socket joints. Reachable area is defined by an AnimationCurve orthogonally mapped onto a sphere, which provides a very smooth and fast result. 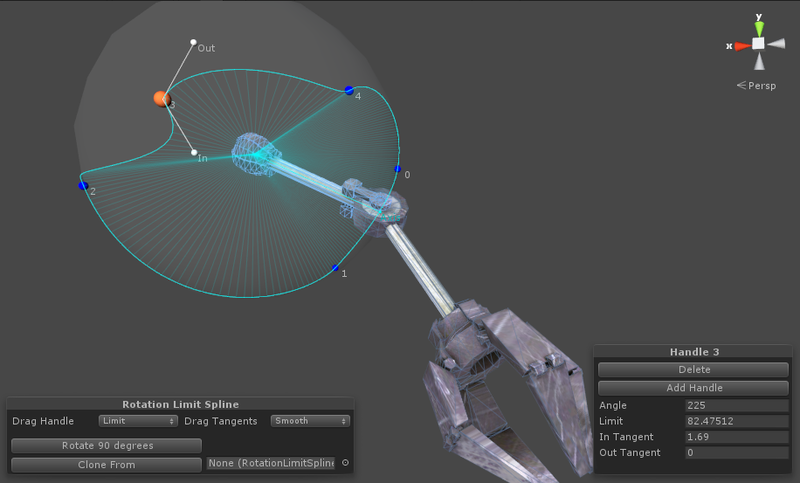 The spline rotation limit is provided with handy scene view tools for quick editing, cloning and modifying of the spline handles.